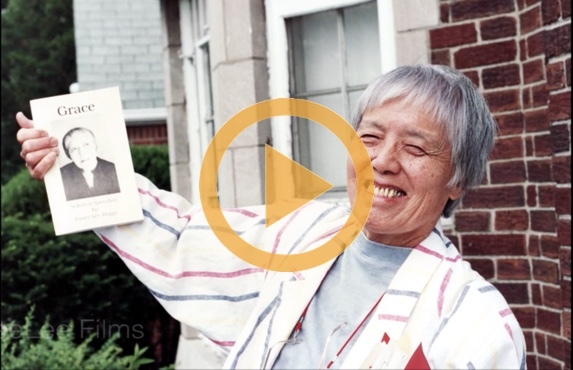 A short video made up of footage — most of which we weren’t able to use in American Revolutionary: The Evolution of Grace Lee Boggs. 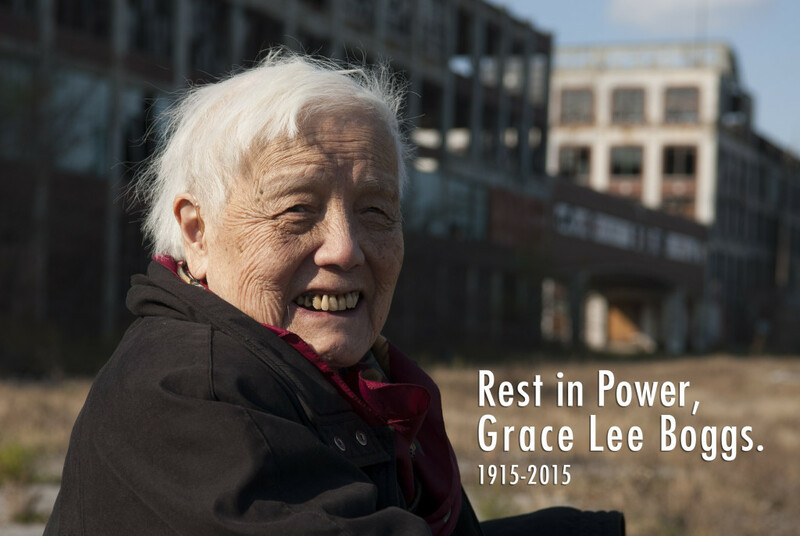 Grace Lee Boggs passed away peacefully this morning. We are so grateful for the vision of justice and human connection that she gave us and feel incredibly privileged to have been able to share her story with others. Also available on Netflix streaming. We’d love to have you reflect on what Grace means to you. Share on social media with a statement or photo or video (use your smart phone) and use the hashtags #GraceLeeBoggs100 and #AmericanRevolutionary. We will select a few to highlight on our own social media and if we do we’ll send you a FREE copy of the film soundtrack. Or, you can also share this clip from the film and wish Grace a happy birthday. Is your imagination rich enough? American Revolutionary is the proud recipient of a George Foster Peabody Award, recognizing excellence in “stories that matter” in electronic media. The awards ceremony will be May 31, 2015. Stay tuned! Comcast Digital Subscribers – Watch the film On Demand until Feb 28! American Revolutionary is available to all Comcast digital cable customers with On Demand. Viewers should click on the “On Demand” button, and then look under the “Movies” folder. Look for the “Cinema Asian America” or “Documentaries” folder to rent the movie for $4.99! Comcast is available in many TV markets. Thanks for spreading the word! Thanks to Sundance #ArtistServices, we are now available on Itunes, GooglePlay, Vudu and Amazon Instant Video for personal home use. Click on the WATCH THE FILM tab for the links. Educators, please use the link to our educational distributor for purchase. We will also be on Comcast ON Demand for the month of February. Enter your email address to be notified when more screenings are announced.